The sale of fire crackers in Delhi and NCR has been suspended ahead of Diwali. New Delhi: A section of traders have approached the Supreme Court, seeking modification of its order banning sale of firecrackers in Delhi-NCR ahead of Diwali. The traders say the court should allow them to sell the stocks they bought after the court relaxed its ban on licenses to sell firecrackers in September. On September 12, the top court had halved the number of cracker sale licences to be given out across Delhi and National Capital Region, saying, "more than 50 lakh kg crackers should be enough". In Delhi, a maximum of 500 licences were given out, down from the 1000-odd figure of last year. 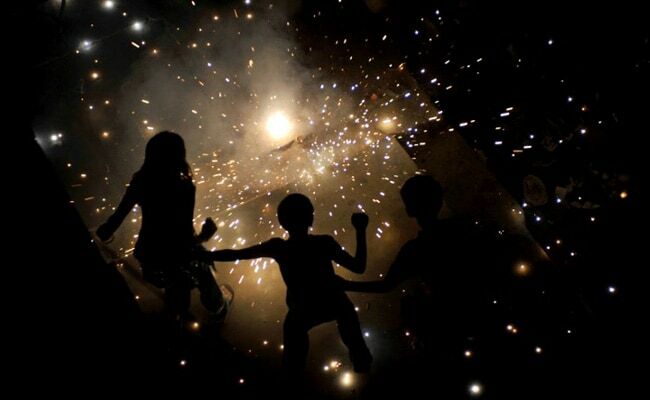 But on Monday, responding to a petition by three children regarding the noxious post-Diwali pollution, the Supreme Court banned the sale of firecrackers till November 1. The court, however, said those who had firecrackers can still burst them on October 19, when the country will celebrate the festival of lights. In their petition, the traders said they would suffer huge losses if they were not allowed to sell the existing stock. A bench comprising Justices Ranjan Gogoi, A M Sapre and Navin Sinha said it would consult the judge who had passed the order, for placing their interim application for urgent hearing. The petition is likely to be heard on Friday. The ban on crackers has been hotly debated, with several leaders of the ruling BJP batting for crackers. Union environment minister Harsh Vardhan got trolled on Twitter for his support to a "Green Diwali". Madhya Pradesh minister Bhupendra Singh invited Delhi'ites to go celebrate Diwali in Bhopal. saying bursting crackers in the state capital a single day would not damage its environment. Senior Delhi BJP leader Tejinder Singh Bagga, has said he will distribute firecrackers worth Rs. 50,000 among the children living in the slums of Harinagar. Mr Bagga said it would not be a violation of the court order, "because the court has only banned the sale of firecrackers, it has not put a ban on buying or bursting them."